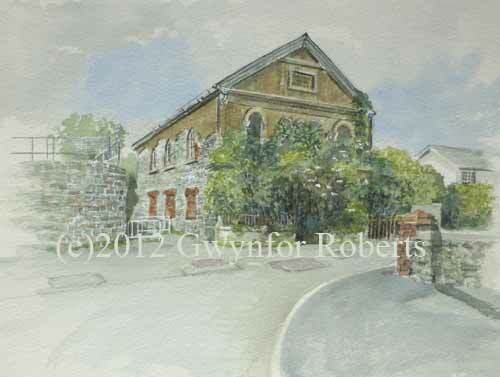 This painting shows a derelect Ebenezer Chapel, along Pontycapel Road, Cefn Coed. It was built in 1838 and rebuilt in 1861. Don't know what lies ahead for this chapel but as you can see the front is totally overgrown with no visible entrance. It is in need of some urgent attention if it is to survive.